For the nordic combined athlete Mario Seidl the season 2017/18 was a special one because of his first Olympic Games. But with the competitions in Schonach, Germany, this season finally had to come to an end, too. Mario showed constant performances throughout this winter, reached the Top-10 a few times, once he made a fourth place and also achieved one podium in the single competitions. However, one podium he could not have chosen any better: At his first Olympic Games in Pyeongchang, South Korea, a dream came true for Mario Seidl. 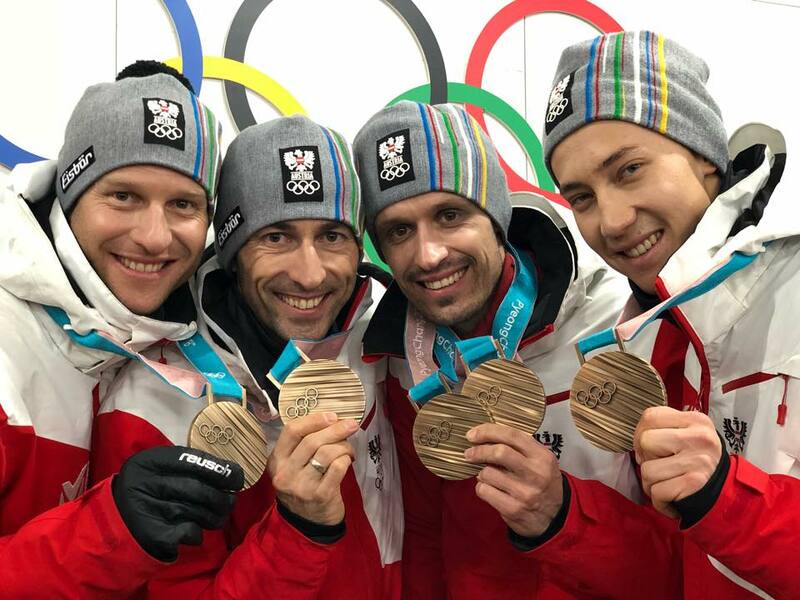 Together with his teammates Willi Denifl, Lukas Klapfer and Bernhard Gruber, Mario took an outstanding third place and therefore won the Olympic Bronze medal with the team. An incredible moment for all four of them. The tactic to keep the Japanese at bay proved to be the right one and in the end it was final runner Mario Seidl, who could bring the bronze medal over the finish line and was there awaited by his celebrating teammates. A moment to remember forever for the young athlete.